Further integration of Albanians in Montenegro and the advancement of the rights of Montenegrin minorities in Albania. This was declared today by the president of Albania, Ilir Meta during a meeting with his counterpart, Milo Djukanovic as part of an official visit that he’s holding there. “The Adriatic-Ionian highway and TAP are two very important projects, which, alongside the management and the integrated development of the Lake of Shkodra, integrated management of borders, the construction of roads which improve cross-border cooperation and regional cooperation, will be a very good opportunity to address all the problems that people face on both sides of the border”, Meta said. 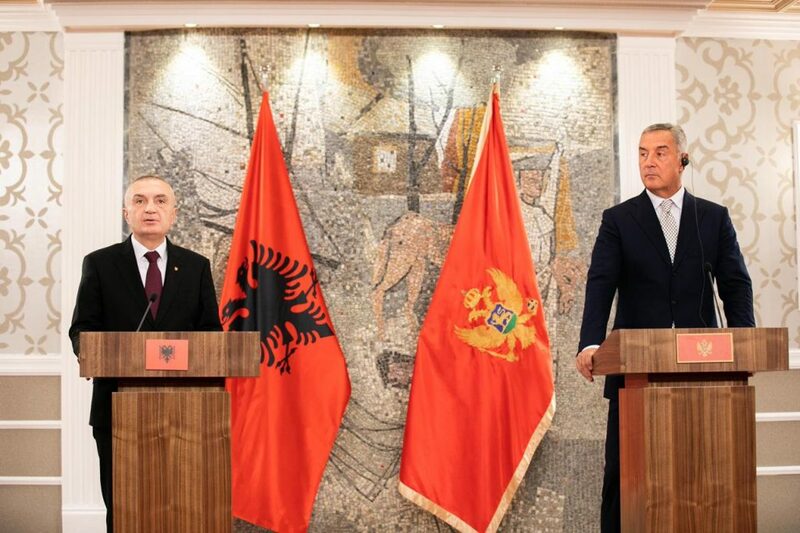 Meanwhile, the Albanian president also said that “this is an important year for the region as far as our expectations regarding dialogue between Kosovo and Serbia are concerned”.